A good night’s sleep is invaluable, literally priceless — but so many people know the frustration of not being able to regularly sleep well. 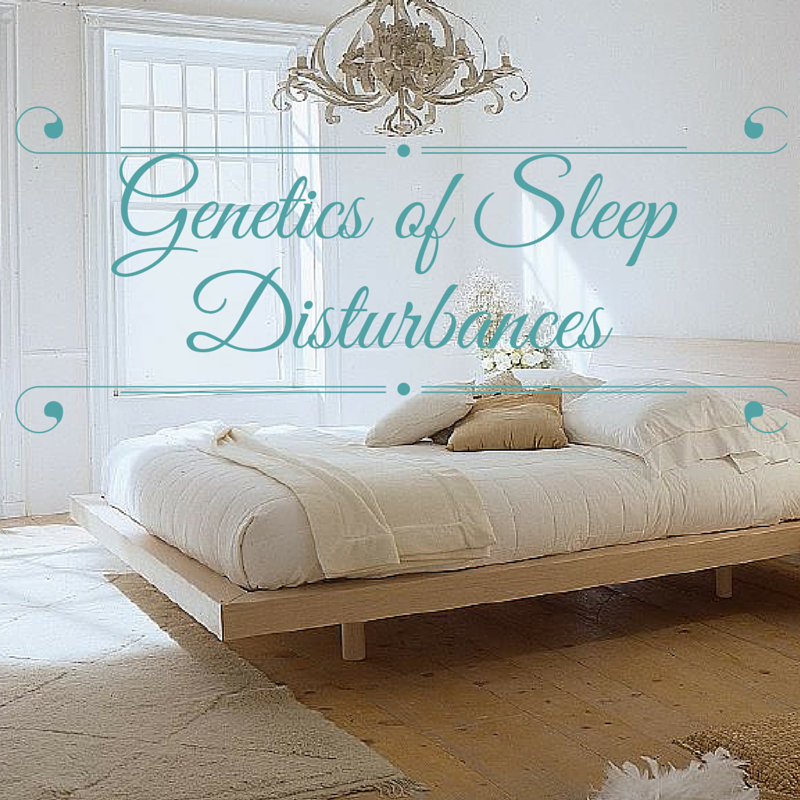 There are many factors involved in sleeping well, and genetics plays a role in some sleep disorders. One of the first genes that I learned about when I started looked at genetics was the CLOCK (circadian locomotor output cycles kaput) gene. I found it fascinating that some people really are genetic ‘night owls’. Our natural circadian clock is run by several core genes that rise and fall over a 24 hour period, setting the rhythm for all of our body’s functions. Sunlight hitting the retina in the morning resets the circadian clock. Circadian rhythm disruptions have been tied to obesity, difficulty in losing weight, diabetes, Parkinson’s, Alzheimer’s, heart disease, and ADHD symptoms. There are several SNPs and repeats in the PER3 gene that are connected to Delayed Sleep Phase Disorder, but the data isn’t available for 23andMe users. The MEIS1 gene has been studied for restless leg syndrome. MEIS1 encodes a homeobox protein that is involved in normal development, and it has been studied for its role in leukemia. (Homeobox genes are involved in forming organs and limbs in embryonic development.) There are several MEIS1 SNPs that have been linked to an increased risk of RLS and PLMD. There are several other SNPs that have been studied in relation to RLS/PLMD that are not included in 23andMe data, as well as several that slightly reduce the risk of RLS. If either RLS or PLMD is a problem for you, searching through the PubMed studies would be a good idea. Narcolepsy, or excessive daytime sleepiness, is found in about 1 in every 2,000 people in the US. It is now thought to be an autoimmune disease and is associated with HLA-DRB1*1501 and HLA-DQB1*0602. HLA-DRB1*1501 is highly correlated with rs3135388 and found to influence the risk of several autoimmune diseases including MS, lupus, and narcolepsy. HLA-DQB1*0602 is found in 90% of people who have narcolepsy, but it can’t be determined by a single SNP that I have found. One small thing that will make a HUGE difference in sleep and circadian rhythm function is to block blue light at night. Our modern environment is full of light at night and especially in the blue wavelengths from LED bulbs, TV’s, and phones. The blue wavelength (~480nm) is the exact wavelength that resets our circadian genes each morning. Other than changing all your light bulbs to red lights or going back to candlelight, you can block the blue wavelengths with glasses. There are inexpensive options like the UVEX safety glasses or more stylish options like these Swannies.